Diva Likes has introduced you to many online shopping sites which you all loved and shopped at. But we missed out the most important one for all the ladies who enjoy the process of cooking. I am talking about Magickart.in which is the leading online shopping portal in India for kitchen appliances and cookware. If you ask any woman who cooks for her family and manages the kitchen, she will surely tell you the importance of various cookware, bakeware, dining, storage and other kitchen appliances. Whenever I find any unique kitchenware I make sure I buy it. No matter how much I buy, there is still a lot of place in my kitchen for new ones. Especially when you come across sites like Magickart.in you can't resist buying the best products to make your cooking more enjoyable. MagicKart.in offers wide range of Kitchenware, Cookware, Bakeware, Cook pan, Induction stove, Pressure Cooker, Utensils, Pans and Pots, Casseroles & Kitchen Storage. 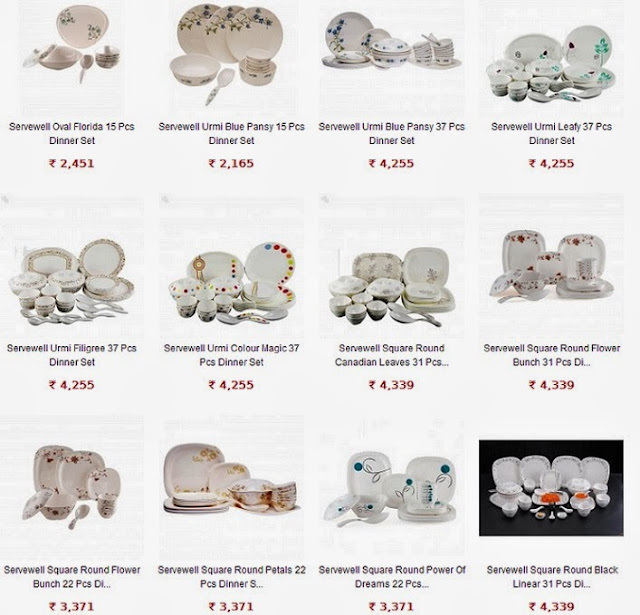 They have the collection from leading Indian and global brands like Butterfly, Prestige, Morphy Richards, Preethi, Wonderchef, Philips, Praylady, Zain, Tupperware & Signoraware. All the products are offered at the best prices when compared to anywhere else. Whenever guests come to your house for lunch/dinner, the one thing they will notice is the dining range. Magickart.in has some wonderful collection of dinner sets which will surely give your dining table a fresh look. 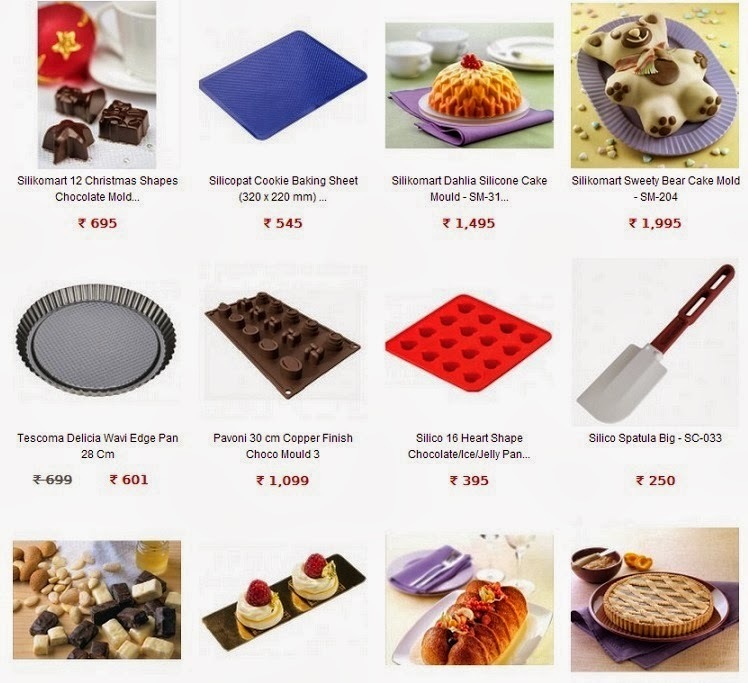 For all the people who are into baking must surely check out their bakeware section which offers varieties of baking accessories, cake baking pans, chocolate moulds, cookies sheets and muffin pans. 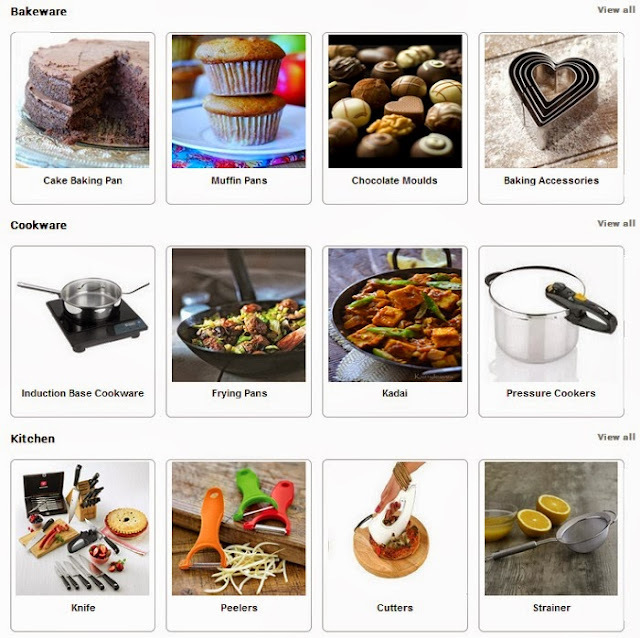 It is very difficult to find all the bakeware products at one place but Magickart.in makes it so easy. This site is definitely a boon for all the bakers who love to bake their own cakes and muffins. When I was browsing through their site, I saw some amazing cookware sets which I would love to have in my kitchen. They are from leading brands and the best thing is they are at reasonable prices. 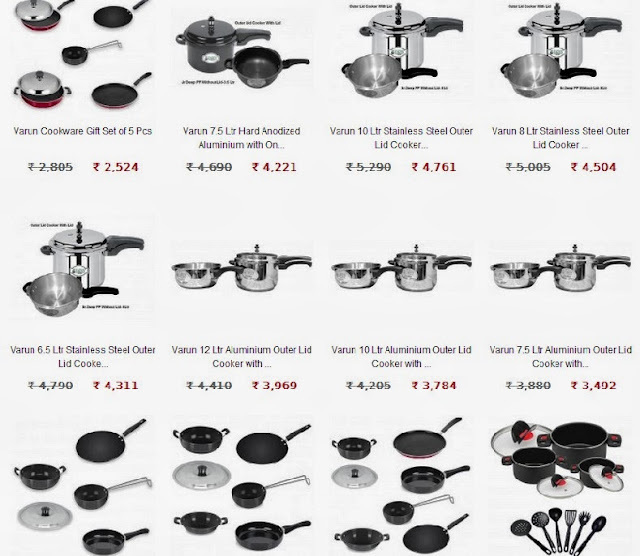 I always shop cookware sets at store but I have changed my mind after going through this site. Once you look at their collection, I am sure you will agree with me. 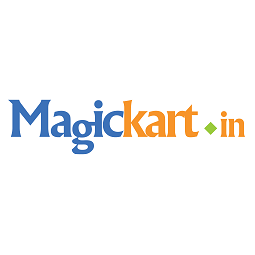 Magickart.in provides free delivery across India on orders valued above Rs.300 or more. For all the orders below Rs.300, they charge Rs.40 extra as shipping charges. The products are shipped within 36 hours of placing the order and are delivered within 2-5 working days depending on your location. It accepts international credit card, debit card and net banking for all payments in addition to the cash on delivery option. To check out the entire collection of kitchen appliances and cookware, head on to Magickart.in and start purchasing some amazing appliances for your kitchen. For latest offers and more, do visit Magickart.in on Facebook, Twitter, Google plus, Pinterest, Blog and Youtube. True...it is better when compared to the store prices atleast! wow looks like a amazing website ! I'll defntly check out ....thanks for sharing doll !